One year ago the European bison, the largest land mammal on our continent, returned to its old haunts in the Southern Carpathians. One year later, during a second major release event on 12 and 13 June last week, the number of animals doubled as a next step to create a viable population of free roaming bison in this Natura 2000 site. As the gates to freedom were being prepared to open, one bison bull already jumped out and made its way into the wild. We are proud of this moment, as it shows nature knows best and the animals are eager to explore their new environment. His Excellency Matthijs van Bonzel, Ambassador of the Kingdom of the Netherlands to Romania, Petru Vela, Mayor of the Armenis Municipality, Wouter Helmer, Rewilding Europe’s Rewilding Director, Joep van de Vlasakker, Rewilding Europe’s Wildlife Advisor and Adrian Hagatis, Rewilding Europe’s Team Leader for the Southern Carpathians jointly opened the gate through which the herd will find its way into the wild. The release was a ‘soft release’, meaning that the animals are free to leave the rewilding zone at their own time and pace. 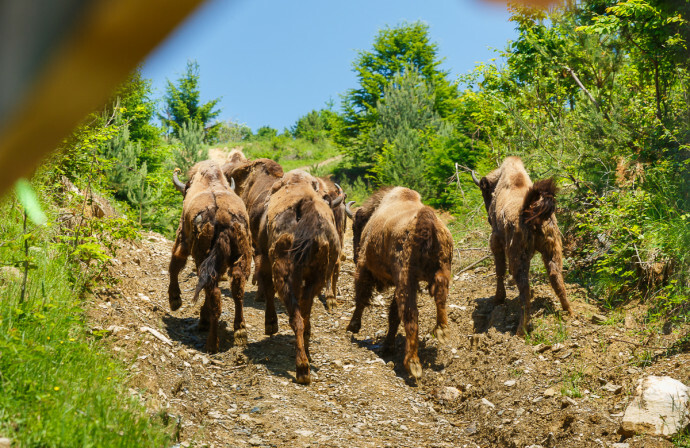 On Friday 12 June, after 5 000 km of travelling – which was a unique logistical challenge – 14 bison arrived in the Tarcu Mountains. This second herd consists of bison originating from six different zoos and wildlife centres in Switzerland, Germany, Belgium and France. Four bison planned to participate in the release did not join the transport because of medical and administrative reasons. A female bison from Bellewaerde, Belgium, was in far pregnancy and it was decided to bring this animal in a next release together with the calf. The first herd, released in May 2014, adapted well to the area. After the bison rangers and researchers monitored and observed them for a year, we are pleased to say that the animals rediscovered their wild side, regained the necessary survival skills for life in nature and formed a solid social herd structure. All new bison arrived healthy and were safely released into the acclimatization zone of some 4 ha where they will stay until they adapt and form a social herd structure, soon entering the adjacent rewilding zone of 150 ha. 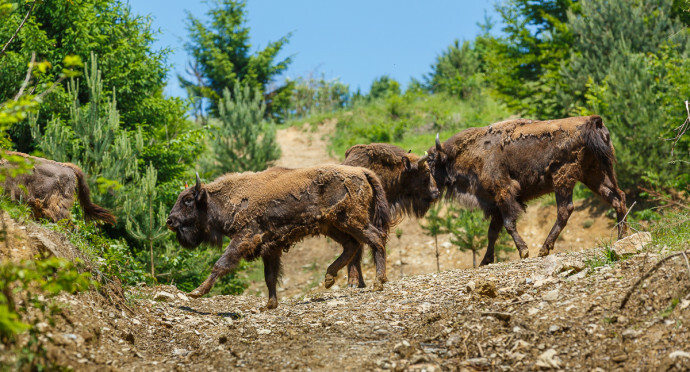 However, before opening the gates one male bison from the new herd broke out and walked into freedom becoming the first bison, roaming wild in Romania in over 200 years. This unusual behavior probably occurred due to stress caused by the long travel and exploration of new territory. Once both the first and second herd of bison herd will walk out from the release area they will not be taken care of anymore. They will then become full part of the natural ecosystem in the 59 000 ha large Tarcu Mountains Natura 2000 site, as part of the on going process to rewild this legendary species. “There are only a few places in Europe where nature is still preserved in its wildest state; introducing a large herbivore into the wild again will greatly contribute to creating a varied ecosystem and associated biodiversity. 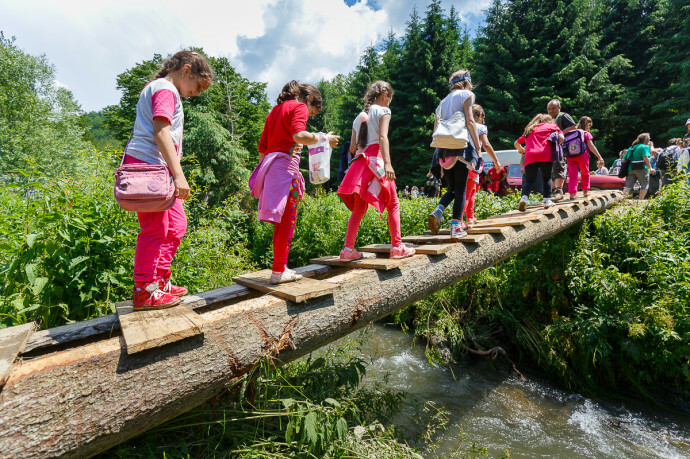 Rewilding is an effective way to help nature heal itself’’, says Adrian Hagatis, Team Leader of rewilding initiative in the Southern Carpathians. Before the arrival, many different activities took place. 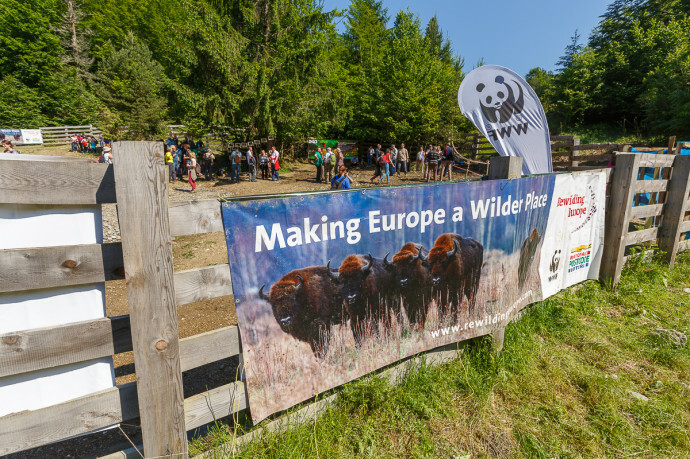 WWF Romania and Rewilding Europe presented the bison rewilding initiative in the Southern Carpathians; an exhibition was opened; discussions about the restoration of hamlets in the area were held, and there were several children activities. People of Armenis and their Mayor Petru Vale, teams and guests all patiently waited for the truck’s arrival and the release ceremony. They welcomed the bison in silence, observing this memorable and important moment from a safe distance. 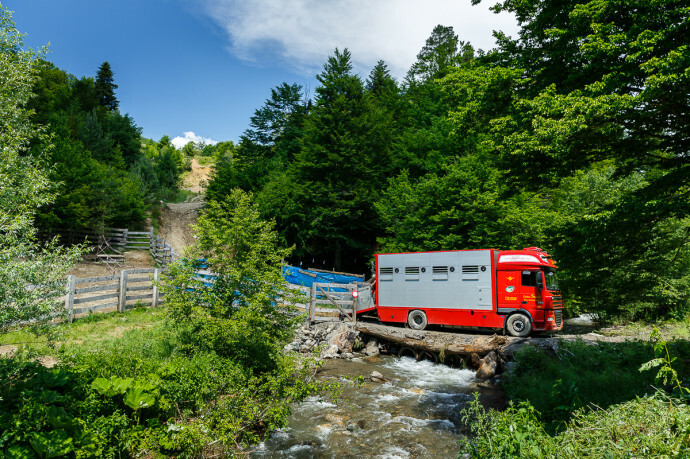 “If you get to see the bison rewilding area in the Southern Carpathians and get to know all the people involved you feel very honoured to be a part of it’’, Wouter Helmer tells us. ‘’These legendary animals not only help to recover the natural ecosystem but also link organisations and people from all walks of society: from bison ranges to a mayor like no other, from wildlife researchers to hunting associations, national and international NGOs, wildlife parks from all over Europe, donors, activists, local, regional and national authorities and a passionate local community. I will never forget the moment when the Dutch Ambassador opened the gates for the bison and see people sharing our joy in dozens of languages”. 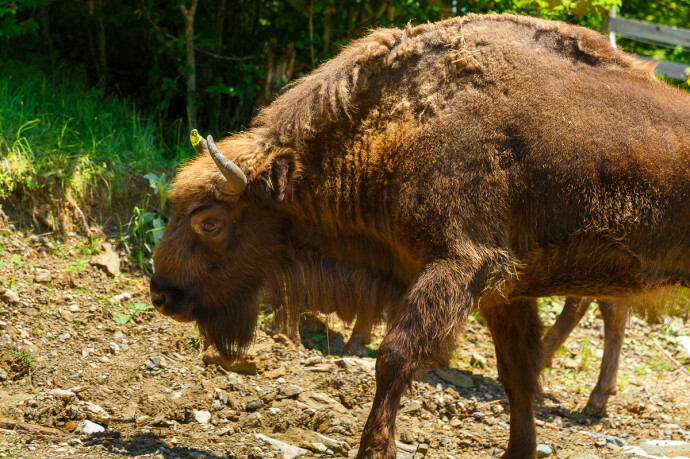 The European bison or wisent is the continent’s largest wild land mammal. Once, it roamed all across Europe, except possibly Northern Scandinavia and the southern parts of the Iberian Peninsula and Italy. It was hunted to extinction until it finally became extinct in the wild in 1927. By then, only 54 individuals remained, all in captivity. A slow but successful breeding and reintroduction effort in Central and Eastern Europe helped to establish a wild population again. The global population of the European bison is now said to be 5 046 (January 2014). Of these, only some 3 230 live in free or semi-free herds. To make a comparison, this is less than there are black rhino in Africa. ‘’Our vision is that the Bison Hillock, as the locals call the area, becomes a living example for conservation of this rare species and enables ecology, sustainable development, conservation to become priority areas of interest for youth and young professionals’’, concludes Magor Csibi, Director of WWF Romania. 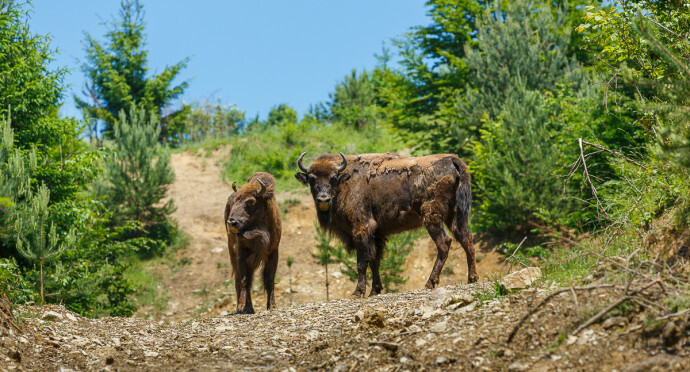 Until 2024, Rewilding Europe and WWF-Romania will continue to release bison in Southern Carpathians to build a viable population of at least 300 animals by 2024. The European bison is a charismatic animal with a long-standing heritage in Romanian history and culture, loved by the general public. 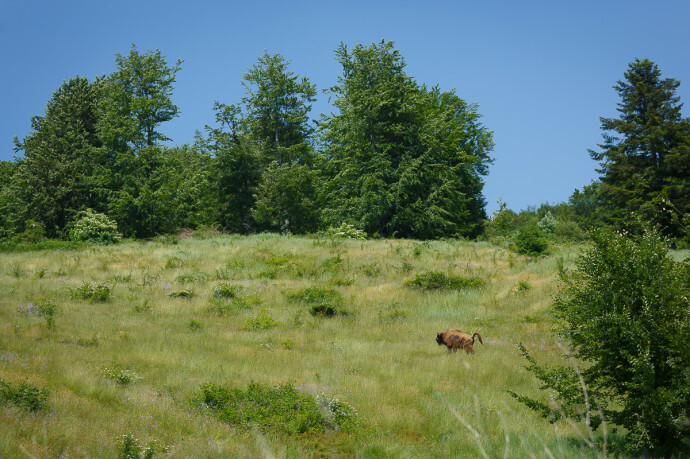 For restoring European ecosystems such as the Tarcu Mountains, it is important to bring back this symbolic animal at it is a key species for rewilding and for preserving wilderness strongholds. The bison’s grazing and browsing ability helps maintain a mosaic of forest areas and grasslands, creating more variation and structure in the landscape. It is a species that, if successfully re-introduced and its habitat effectively preserved, will help maintain the ecological corridors across the entire Carpathian mountain range and allowing natural processes to occur. 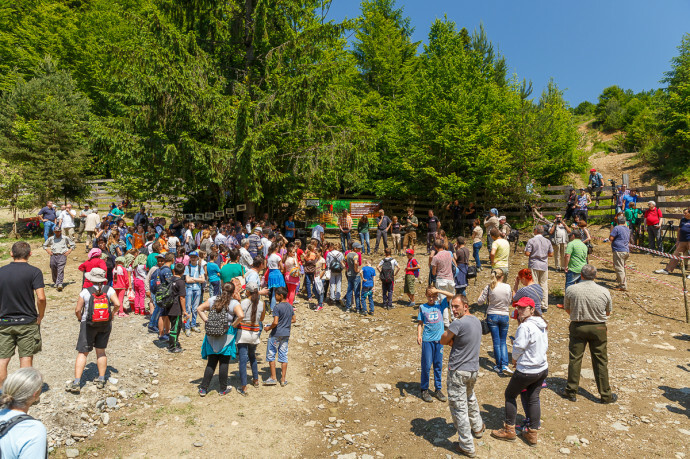 The scale and success of our initiative is due to the support and hands on involvement of the Municipality of Armenis, the local community – Armenis Bison Hillock Association (AMZA), National Forest Administration – ROMSILVA, Teregova Local Forest Management Unit, The Romanian Academy of Science, The Veterinary Universities in Timisoara and Bucharest, local and national Hunting Associations (AJVPS, AGVPS). 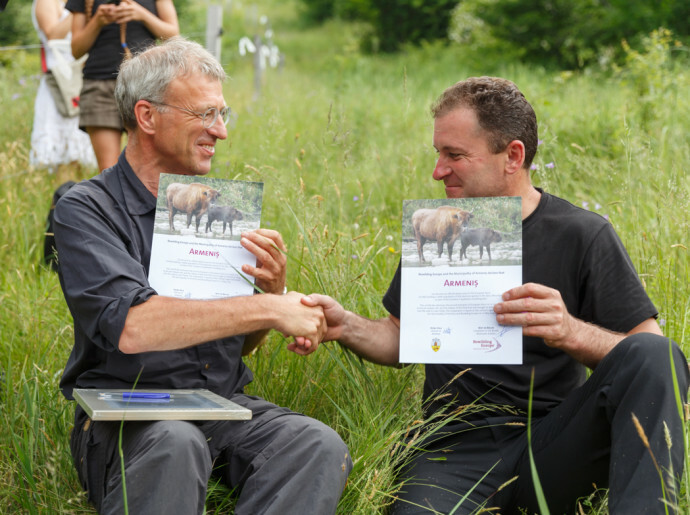 Dr. Sebastian Catanoiu and Dr. Razvan Deju, members of the European Bison Conservation Centre (EBCC), provided expert support, as they have been leading the first bison reintroduction initiative in Vanatori Neamt Nature Park in Romania. 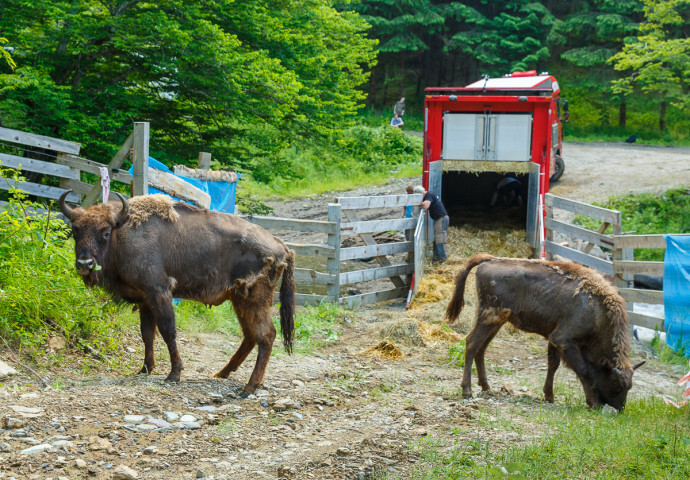 The bison reintroduction in the Southern Carpathians was made possible through the generous support of zoos and parks throughout Europe, for which we are extremely grateful. Parco Natura Viva (Verona, Italy) and the European Nature Trust (United Kingdom) have helped to purchase GPS collars. 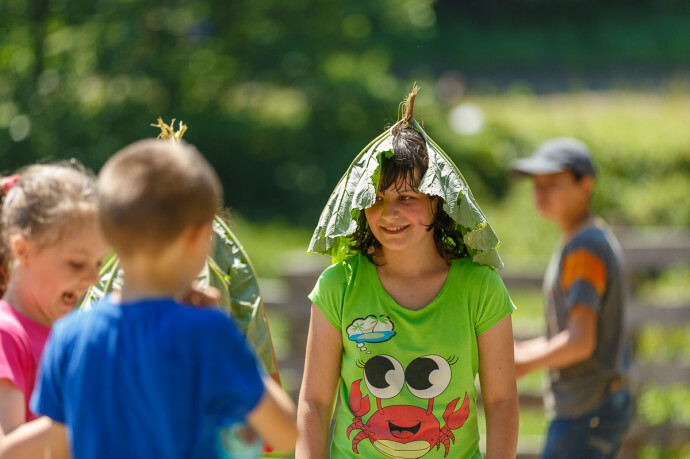 Zoos and wildlife centers from all over Europe provided the animals: Germany (Springe, Kiele), Belgium (Han-sur-Lesse, Bellewaerde), Switzerland (Bern) and France (Thoiry, La-Haute-Touche, Le Breil sur Mérize). They have all donated their animals and contributed to export, veterinary and food at their own cost. 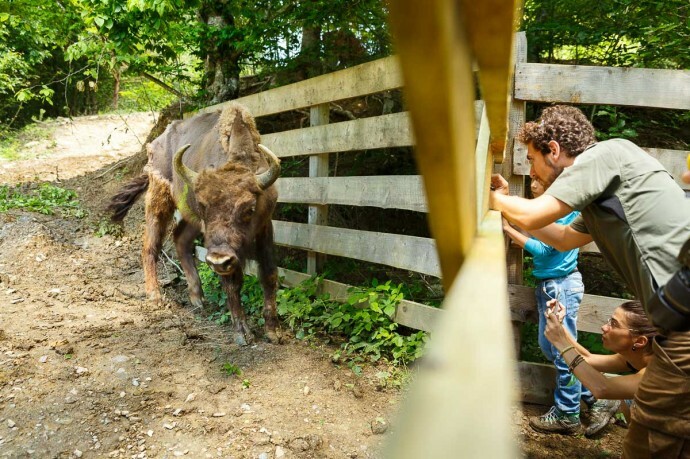 The Wildlife Park Han-sur-Lesse did not only that, but also hosted two animals for over a year, covered all hosting costs and provided funds for a round-up transport. Rewilding Europe and WWF Romania have a strong commitment to the Tarcu Mountains, working to see this already very wild area thrive and people benefit from rewilding and wilderness protection. Annual bison releases will help to build up a viable and free-roaming population of this species, in turn providing new opportunities for the local communities. 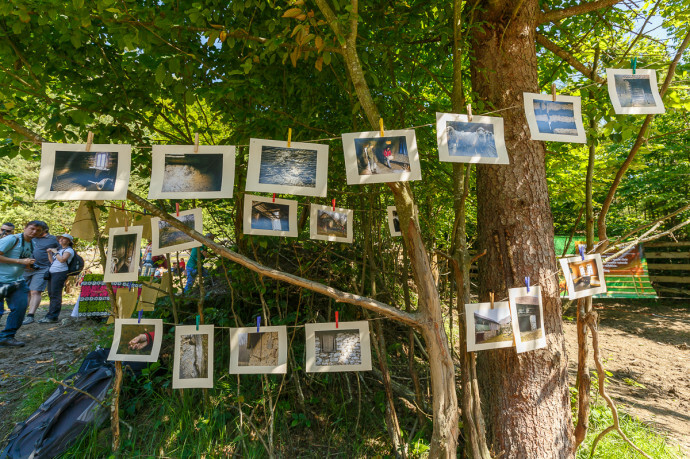 Rewilding Europe and WWF Romania will focus on developing nature-based tourism, creating professional development opportunities and supporting local businesses linked to rewilding during the coming years. 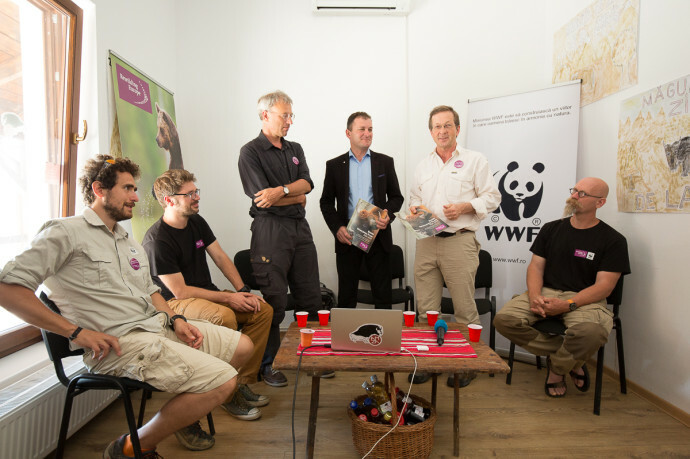 Just before the bison release, on 2-3 June, Rewilding Europe and WWF Romania launched a collaboration with the Green Teen Team Foundation, run by HSH Princess Theodora von Liechtenstein, to support small conservation projects led by children in the nearby communities. 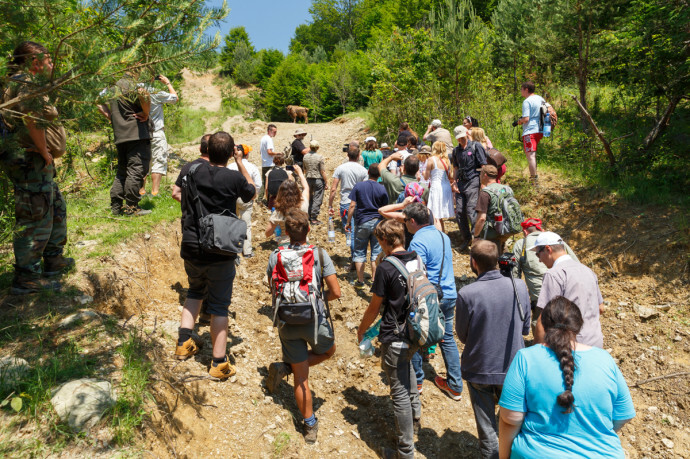 Also, young researchers from universities in Europe are engaged in a multi-disciplinary research programme on the bison’s impact in the Tarcu Mountains. This will enable us to bring research closer to the people, both in the visitor centre and online, offering real time interpretation of research data of the impact of bison rewilding. 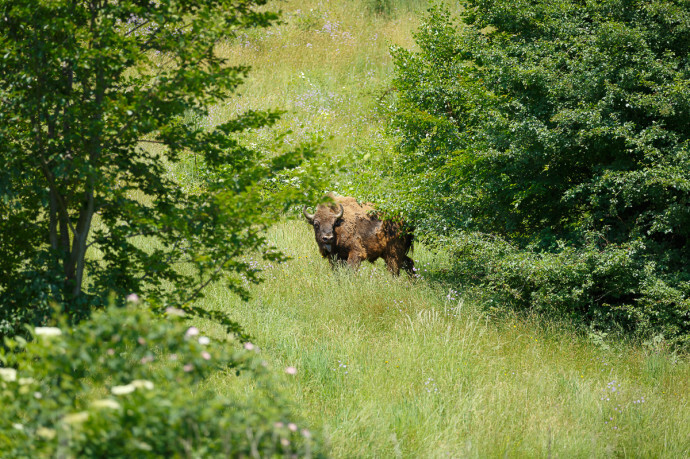 First free European Bison roaming in Southern Carpathians rewilding area, Romania.